Now this area is not dirty but I need to go through and organize it. It is well over stuffed. 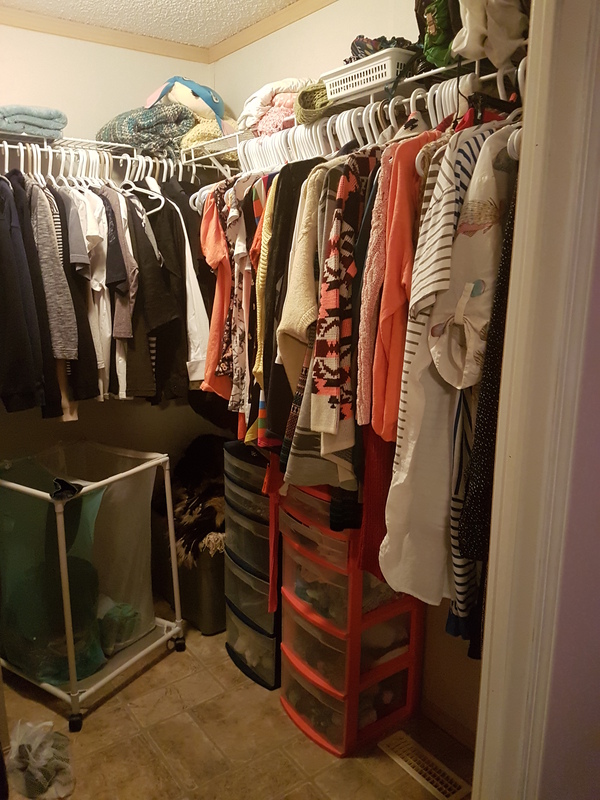 All of the maternity clothes are still in there and clothing I bought when I thought I was going to nurse. I have also started to pull out pre-pregnancy clothing. Finding that some of them I really just do not enjoy. 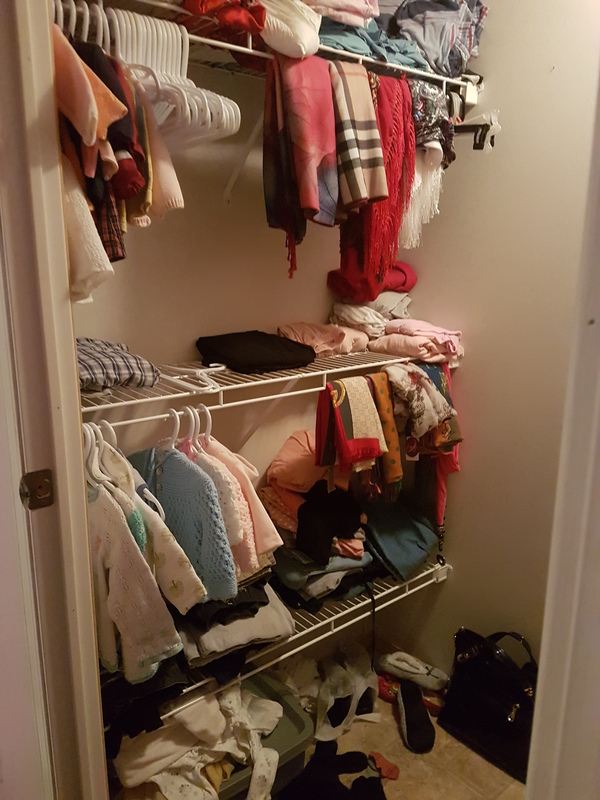 Normally every spring and fall I turn all my hangers around after switching my clothes out. I will be able to do this in the spring but since I was pregnant for the fall and half of winter I was not able to give that system a work out. I have to do my best guesses at this moment.